No matter what kind of website you run, security should be a top priority for your business. Preventing hackers from accessing sensitive information or using your site for nefarious purposes is more necessary than ever before. For this reason, we offer two separate security services to protect your businesses from security breaches. With the SafeDeposit service, we take care of daily backups and weekly WordPress updates for you, making sure all the latest security patches are in place. However, if your clients make purchases on your website and/or enter sensitive personal information, you may need additional protection. Website lockdown and security breach alerts – With PadLock, we lock down dozens of security points in WordPress and then set up an alert system that lets us know if any of your website’s core files are changed. Malware scanning – We also utilize ongoing malware scanning, which allows us to detect the malicious code hackers use to access sensitive information. Hack cleanup – If, despite having PadLock in place, your website is hacked, we’ll clean up the mess for you. 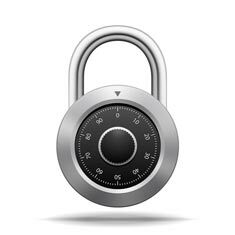 So if your website is home to sensitive information that needs protecting, take advantage of PadLock. With all of these checkpoints in place we can minimize the chance of a hack taking place on your website, and even in a worst case scenario we will help you mitigate the damages. The bottom line is this: with PadLock in place, you enjoy superior security and protection.